All You Can Eat Nightly Specials are back! Dressings: Balsamic Vinaigrette, Blue Cheese, Honey Mustard, Ranch, Thousand Island. All U Can Eat selection of fresh lettuce, garden vegetables, fruit and salad dressing. A Waterfront specialty! A homemade crab cake seasoned and grilled served on a sesame seed bun. Juicy, plump oysters fried and served on a hoagie roll. Tender fried shrimp stacked on a hoagie roll. A juicy half pound of certified angus beef grilled to perfection and served on a sesame seed bun. Same as the hamburger but grilled with blackening seasoning and topped with blue cheese. An 8oz chicken breast seasoned, grilled and served on a sesame seed bun. Fried green tomatoes, lettuce and lots of crisp bacon served on toasted sourdough bread. Sliced prime rib steak, onions, and Monterey jack cheese piled high on a hoagie roll and served with au jus. Grilled chicken breast, crispy bacon, shredded lettuce, & ranch all wrapped up. Fried flounder filet served in a flour tortilla with cheddar cheese, shredded lettuce, diced tomatoes, and pico de gallo. Shrimp seasoned and grilled served in a warm flour tortilla with onions, peppers, cheddar, and Monterey jack cheeses. Grilled Chicken served in a warm flour tortilla with onions, peppers, cheddar and Monterey jack cheeses. Served with fries, slaw and hushpuppies. Seasoned and grilled or lightly breaded and fried to a golden brown. Filet of flounder lightly breaded and fried golden brown. Juicy, plump select oysters fried golden brown. 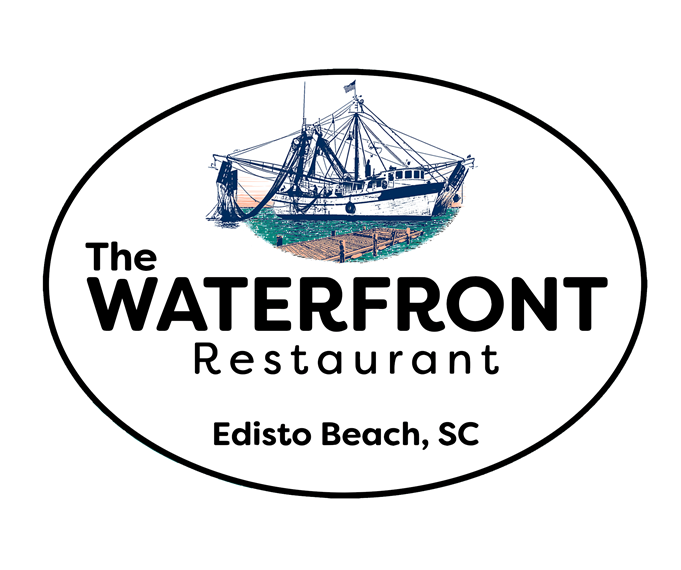 Your choice of the following: Fried shrimp, Grilled shrimp, Fried oysters, or Fried flounder. Fried chicken breast tenders served with bar-b-que or honey mustard sauce. Available for children 12 or younger. Small portions feed approximately 4-5 individuals. Large portions feed approximately 6-8 individuals. Seasoned with Old Bay. Served with cocktail sauce. Served with blue cheese or ranch for dipping. Steamed shrimp (peel on), potatoes, sausage & corn on the cob.